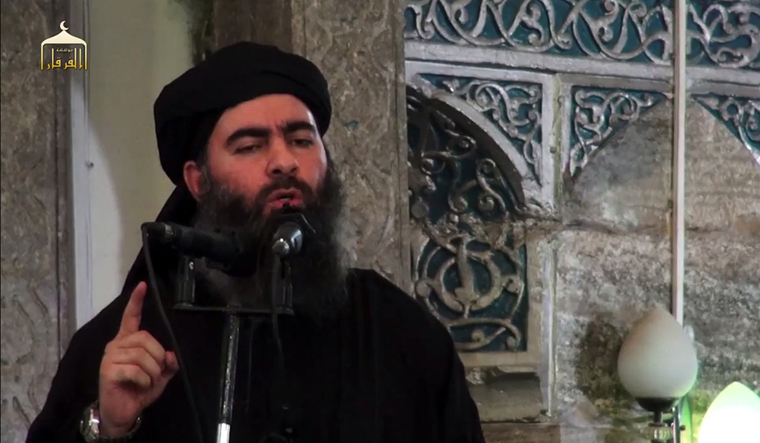 The Islamic State terror group has released what it says is a new audio message from its leader Abu Bakr al-Baghdadi. This new message is the first one in a year and he is heard admitting that ISIS is losing. Baghdadi says that the losses are a test from Allah and calls on his followers to stick together. The man says his followers are being tested with "fear and hunger" but says "glad tidings" will be given to those who "patiently persevere." The audio message was published by ISIS media wing al-Furqan on Wednesday. The message also makes references to tensions between the US and Turkey. He also says that Russia and Iran were seeking to revolt against sanctions and avoid a similar situation to North Korea. America is using "the gang policy" and it is a "sign of weakness", the man says. However, the voice on the recording has not been confirmed to be al-Baghdadi's. The recording runs for about 55 minutes. If it is from Baghdadi, this is the first audio message from him to be released since the fall of Raqqa in October 2017, as IS-held land in Syria continues to dwindle, CNN reported.